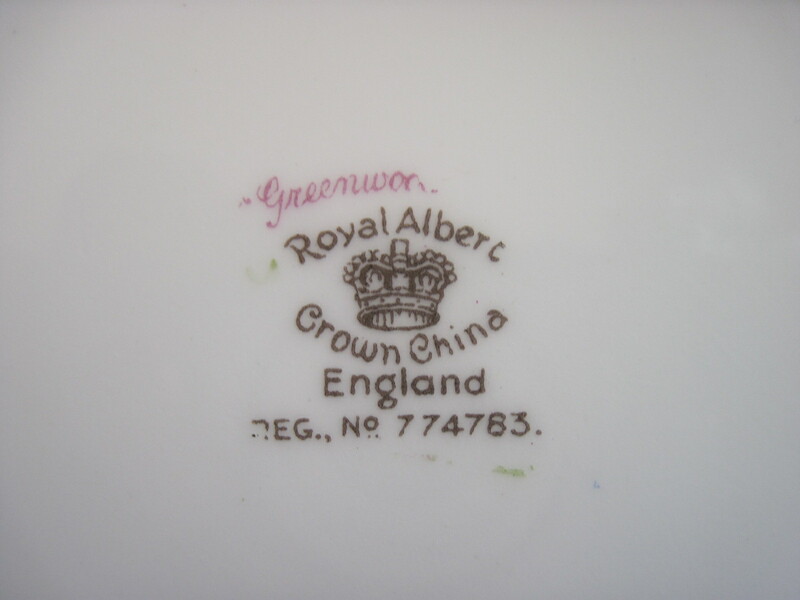 Dishes are from Royal Albert Crown China made in England in the Greenwood Tree pattern. 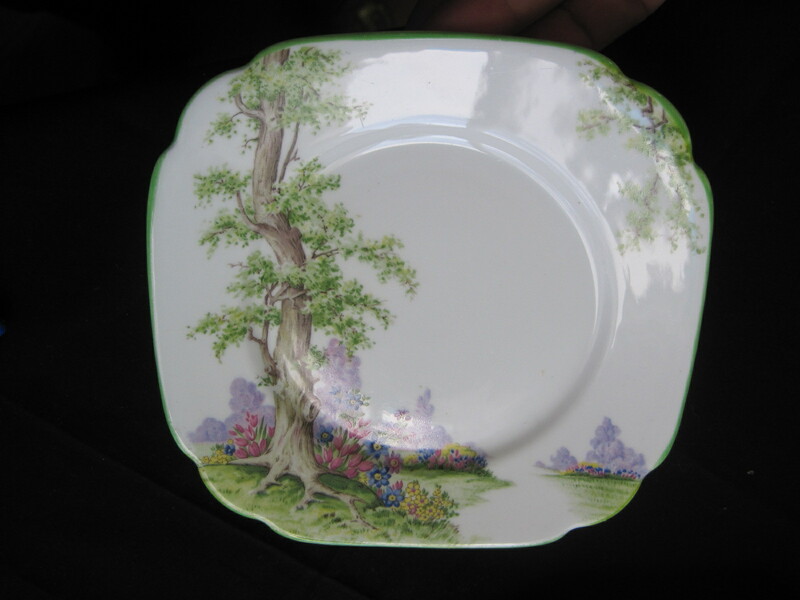 The back stamp on these dishes dates them from 1927 to 1935. Beautiful condition and hardly any wear on the surfaces. Soft colours and very delicate looking. There are 4 luncheon size plates and a cream and sugar. 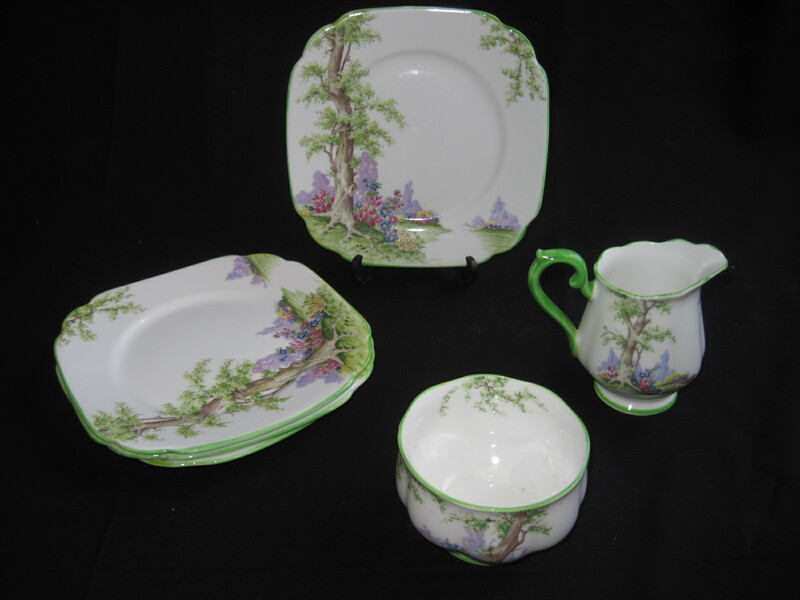 A little before mid century, but I do like these pretty dishes and couldn’t resist them. Please note these dishes are now SOLD!